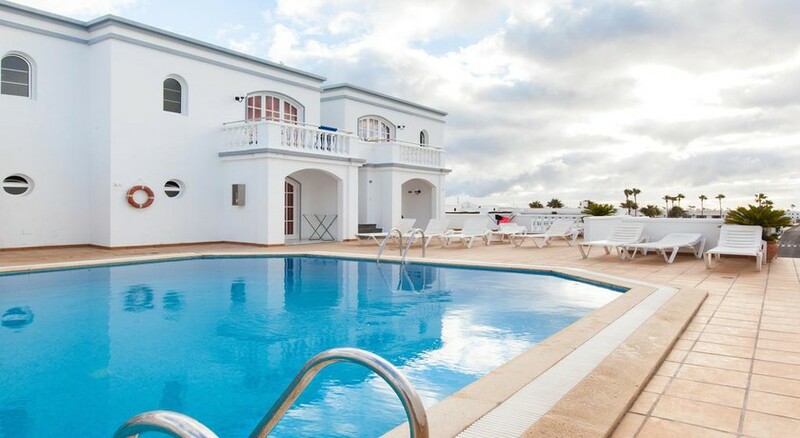 The Corona Mar Apartments make up a small group of 35 apartments with swimming pools for both adults and children, located very close to the white sandy beaches of Puerto del Carmen; an exception on an island where black sand beaches dominate. Corona Mar is a self-catering property, which features bright, airy rooms equipped with everyone you need for a quality holiday. 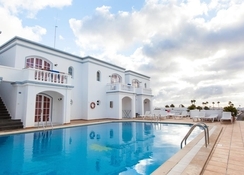 Due to its location just 10 minutes from the airport and positioned in a central area of ​​the east coast of the island, all of Lanzarote’s tourist attractions can be reached easily by car from this hotel - ideal if you’re looking for a day outside of the complex. 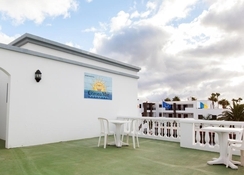 The Corona Mar Apartments is located in one of the three most popular tourist areas of the island of Lanzarote. The distance to the airport on the island is only ten minutes by car on the LZ2 and the LZ40. Public transport is provided at the door of the complex, and it’s possible to reach the natural parks of Timanfaya and Los Volcanes by car in less than 30 minutes. Corona Mar offers a total of 35 apartments for its guests. 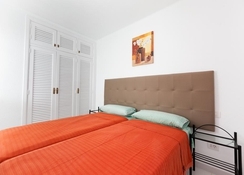 The apartments are different from other similar accommodations in beach areas, providing an intimate and secluded atmosphere while remaining close to the resort’s hustle and bustle. The self-catering kitchen does not only have a refrigerator and hob, but also small appliances, such as a toaster and kettle. The rooms are very bright and the bathrooms are very spacious. The hotel rooms provide a kitchen with all the relevant equipment required to cook. The hotel is also very close to a number of restaurants, pubs and bars. Visit Lani’s Café Restaurant, or try La Lanterna. You can also spend lovely evenings sampling house wines, cocktails and spirits. Corona Mar has two swimming pools, one for adults and one for children, as well as parking and restaurant pizzeria. The natural parks of the north, such as Timanfaya, are only 25 minutes away. Lanzarote is known for the abundance of watersports that can be practiced on its expansive beaches, such as surfing or scuba diving. Plus, the Port is full of shops and bars where guests can wander, or stop for a drink by the waterfront. On Thursdays and Fridays there is a traditional street market very close to the complex.